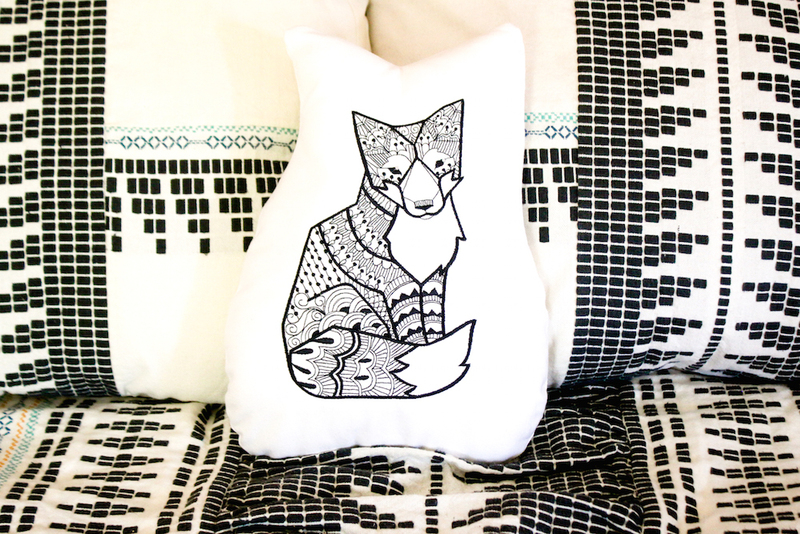 You know we love foxes here at Pretty Prudent. That’s why I had to make this embroidered fox plushie as soon as I saw it on Urban Threads, which is my favorite place to browse cool machine embroidery designs. I made this in under an hour using this doodle fox pattern. If you have an embroidery machine (or like hand embroidering) check out their tutorial for making a plushie from any embroidery pattern: Simple Embroidered Plushies.